ATTACHED ARTIST RENDERING CUTLINE - Rooftop solar panels will help increase energy efficiency at the University of Colorado Boulder’s newest residence hall, Williams Village East, designed by KWK Architects for LEED Platinum certification. Construction of Williams Village East is expected to be completed by fall 2019. 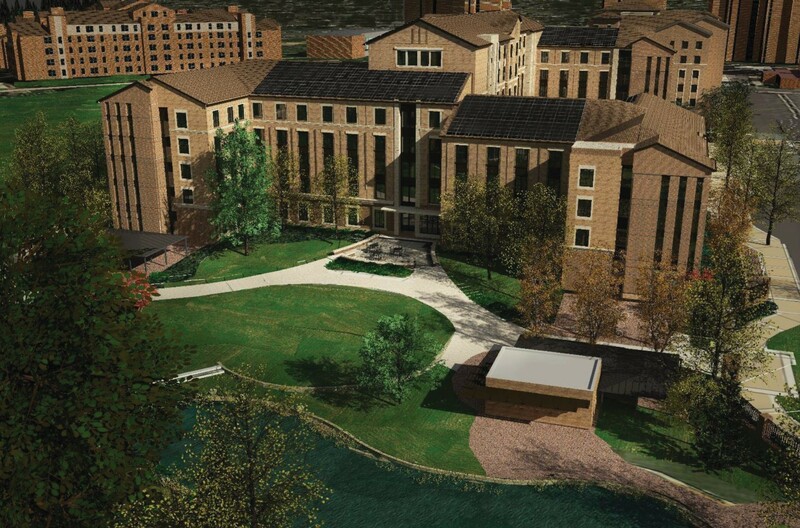 (St. Louis, MO, Jan. 29, 2019) Many universities across the country are striving to design new residence halls based on the Leadership in Energy and Environmental Design (LEED) standards established by the U.S. Green Building Council (USGBC). The latest version of these standards, LEED version 4 (LEED v4), officially launched in November 2013, though projects were still able to seek certification under the previous version, LEED v2009, through October 2016.